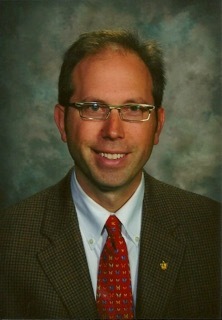 Erik Brandt is an English teacher in the St. Paul Public Schools. I’d like to tell you about my long-time colleague, Amy. Over the last 20 years at Harding High School in St. Paul, I have watched Amy work tirelessly with thousands of our fantastic students – nearly all of whom are low-income, minority, first generation to attend college – to help them navigate the college acceptance and enrollment process, which, as you well know, is not a transparent procedure for any non-English speaking, poor, immigrant family. She has helped raise millions of dollars of scholarship funds to help these students afford higher education. With her connections and persistence, she has forged relationships with schools like yours and has helped get our students to college, where they have thrived. This is the good part of the story. Undoubtedly, as an attentive neighbor, you have heard about the budget shortfall in the St. Paul Public Schools that has led to reductions all over the district, including at Harding. Guess who got cut at my school? It’s tragic: Amy will not be returning to Harding after 22 years of service. Amy’s equivalents at several other St. Paul high schools have also been cut. So, why should you care, Macalester? This doesn’t really seem like your problem, but it is – on many levels. You need the brilliant, diverse students who come out of the St. Paul Public Schools. They enrich your campus and enliven the nature of the dialogue that happens in your classrooms. The truth is, however, that these students rarely make it to you without someone like Amy advocating for them within our schools. Now, I know that the good people of Macalester believe in making the world a better place. That is certainly the image you sell to the public, and, having graduated from Mac myself, I believe there is truth in it. I know that you want to do something to help because it’s in your nature. Well, guess what? There is something you can do, and it’s very easy – and it’s something that the public probably isn’t even aware of … and probably something you’d like them not to know about. Regardless, here it is: Pay your property taxes. Or at least make a PILOT (Payment in Lieu of Taxes), like other colleges or businesses do in dozens of cities around the U.S.
You benefit from all of the resources afforded by property taxes but pay none of them while your school sits on one of the most valuable un-taxed pieces of land in the city. Your staff members live in St. Paul and send their children to our schools, but you provide no financial support for the schools. This is not like you, Macalester. You believe in responsibility and civic duty. Our students want to attend your college, but without people like Amy, they won’t know how to make it happen. If you and your peers (yeah, I’m talking to you, St. Thomas, Hamline, St. Kate’s) contributed your fair share of property taxes, we wouldn’t be laying off desperately needed staff in our public schools or questioning whether or not we can afford enough firefighters and police officers for our city. C’mon Mac. Be a good neighbor. It’s the right thing to do. – Brandt is a National Board Certified English teacher in the St. Paul Public Schools and a member of St. Paul Federation of Teachers Local 28. Twice a finalist for Minnesota’s Teacher of the Year award, Brandt resides in St. Paul. Harding made the biggest mistake by letting Amy go. Many students won scholarships and enrolled in college because of Amy. I think the school board members need to ask questions and review why Amy was transferred. Thank you for shining light on this very important and rarely considered topic. Many thanks to Mr. Brandt (one of my son’s favorite teachers) for raising this important issue for our colleges and universities. With 1/3 of our city’s property being exempt from taxes, Saint Paul as the Capital City can not rely on property taxes alone. Our large nonprofit institutions – who compete on the basis of Saint Paul being a safe, beautiful and livable city – need to step up and do their part to cover their costs of public safety and street maintenance!